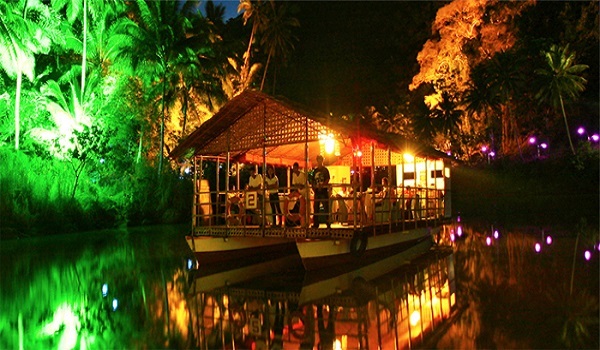 Loboc night river cruise is a novelty; the first of its kind in the Philippines. It is a welcome diversion to daytime cruising which has caught the fancy of local and foreign tourists for quite a time now. In fact, an average of 800 guests daily for upstream daytime cruising is being serviced by the floating restaurant operators and this volume has posed a problem with regards to traffic and congestion at the river. To help ease congestion, a floating restaurant operator introduced a downstream cruise last year; but still the problem of congestion exists during peak hours. As an option, the Provincial Tourism Council thought of introducing a night cruise which gained immediate support from tourism stakeholders in the province. Gov. Erico Aumentado presented the proposal to Jiangxi Province Governor Huang Zhiquan at Nanchang, China on May 8, 2006 when he and his party attended the signing of a sisterhood agreement between the two provinces. During the visit, the Bohol delegation were brought to the Quishui Square in Nanchang to view the night scene with myriads of shimmering lights reflected on the waters . 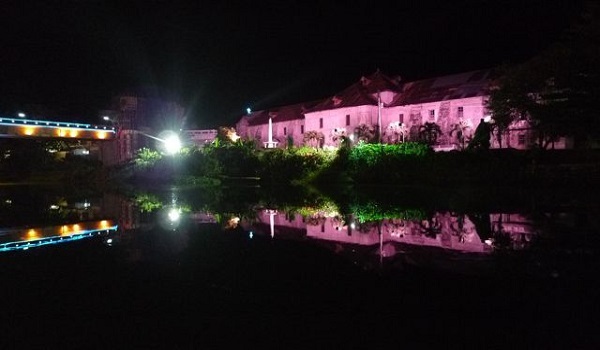 The trip heightened the desire of Governor Aumentado and his party to embark on the lighting of the Loboc River which they envisioned would surely boost up the tourism industry of the province of Bohol. Chinese businessman and Philippine Special Ambassador to China Carlos Chan, who was with Gov. 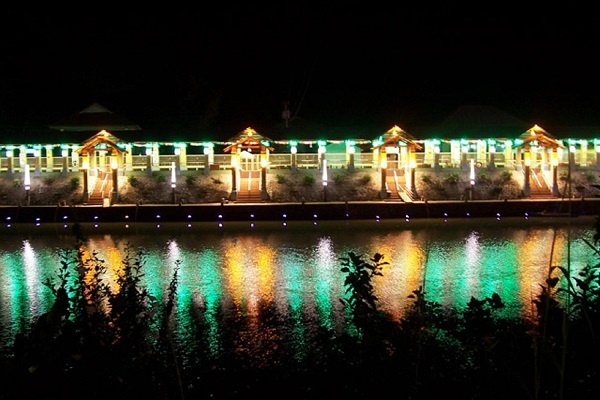 Aumentado, there and then committed to fund the riverbank lighting project and commissioned lighting experts from China to determine the requirements of Loboc River. 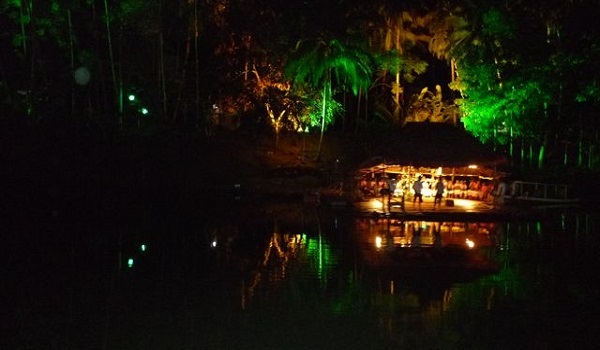 Thus the project of lighting the whole 2.85 kilometer stretch of the Loboc River was born! 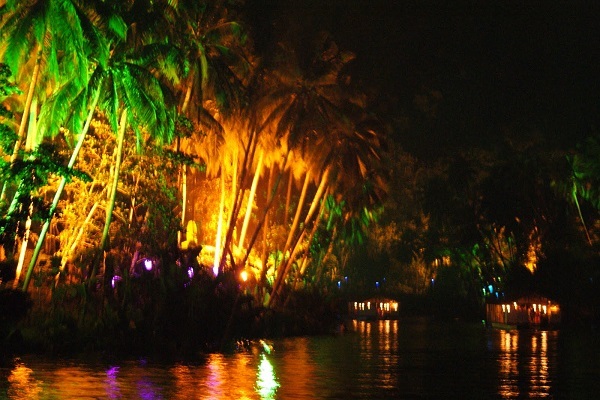 Cruising on the Loboc River at night is a different experience altogether. The cool night air . . . the eerie lights on the riverbanks lighting up the palm trees and putting to shadow other vegetation, and their colorful reflections shimmering on the waters . . . plus the soft serenading music that accompany one while dining lends a romantic air to the night cruise! Yes, cruising at night is soothing to the spirit. It truly relaxes both body and mind. It infuses peace and harmony to our weary soul. A night cruise is a welcome break to the humdrum pace of our lives . . . so crucial that only a few hours would mean a lot, enough to recharge us for another bout of life’s challenges. And we have to thank Mr. Chan, the Chinese, our Governor, the tourism people and all those who have, in one way or another, helped to make this project a reality! This P13.5 million project covered some 450 lampposts and floodlights installed from the frontage of the centuries-old Loboc Church towards Busay Falls, including the two bailey bridges crossing the river. 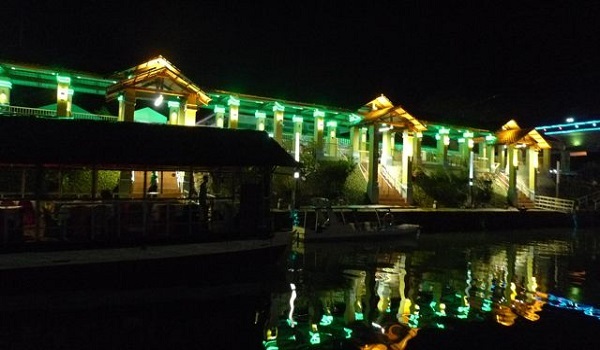 To enhance tourism pursuits, the municipal government of Loboc likewise constructed a modern 120-meter docking port for the floating restaurants. Before, guests embark from the riverbank alongside the church which has no formal port; now everyone is encouraged to board and disembark at the new port. A building at the new port houses the eco-tourism center which includes the tourism office, a visitor’s lounge and air-conditioned comfort rooms. 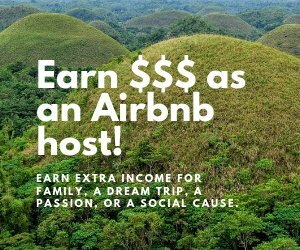 This P10-million project is partly funded again by Mr. Chan whose “gift to Loboc” is a part of the bonding of relationship between Jiangxi and Bohol provinces. Benevolent co-donors are Bench, Champion Detergent Bar/Powder and Regent.